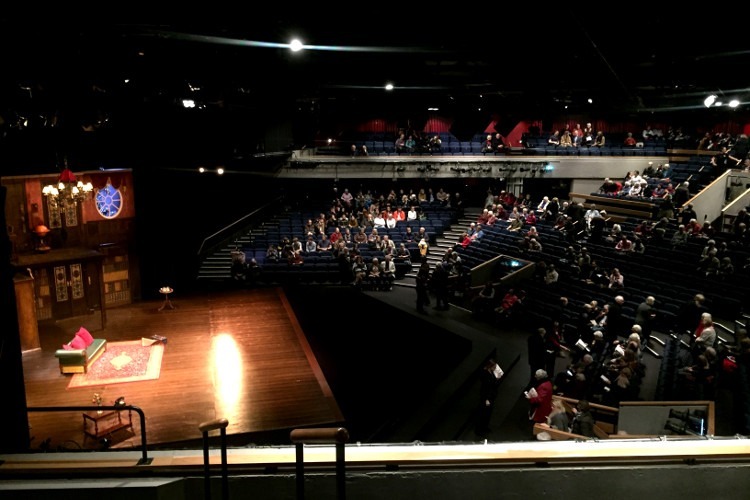 Just a bit different this week, as we present The Play that Goes Wrong on a thrust stage (for only the second time in my memory * ) at Chichester Festival Theatre. Obviously for a show with a fixed back wall that provides something of a challenge, but luckily Alan Bartlett’s been planning for this date since the tour was announced. There was only one place the set could be placed to allow good sightlines to the whole thing, and adding an extra row of floor to better fill the cavernous forestage presents an additional problem, as belying the appearance of chaos, there’s quite a lot of precise blocking that goes into the show. 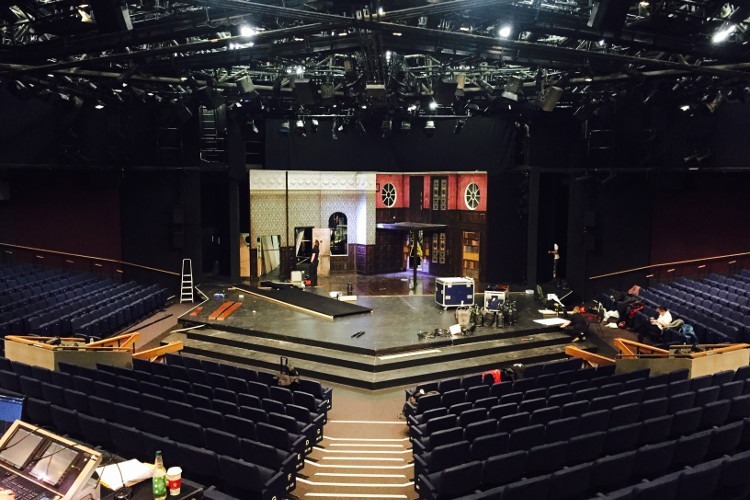 Also, working with the the Festival Theatre’s fixed rig (that accompanies their visiting company season) also presented some challenges, though both there rig and rigging positions are set up to enable the action to be lit from all the directions the audience are watching from, and so the overhead bars (with the relatively low ceiling height) and backstage units turned out to be the most difficult to accommodate. Still the show went down very well with a full house, and so we must have done something right! With many thanks to the technical team in Chichester and the touring SM team on PTGW, and particularly also to Artistic Director Daniel Evans for his kind welcome to the cast in person following the first performance, which was greatly appreciated I know. 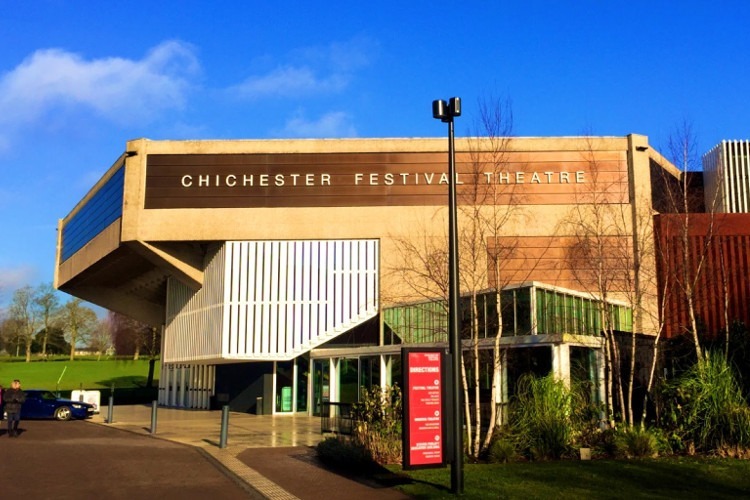 It’s an ambition of mine to light a show at Chichester as part of the Festival season, and so this was an ideal introduction, and one I hope to be able to repeat in the future. * Rose Theatre Kingston in 2014, since you didn’t really ask.